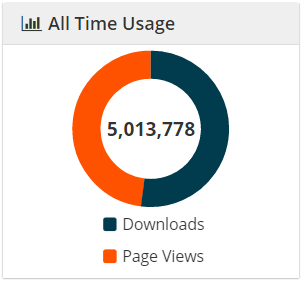 ARAN has attracted over five million hits (downloads and page views) to date, leaving no doubt that adding your publications to it boosts your citations and increases the visibility of your research. 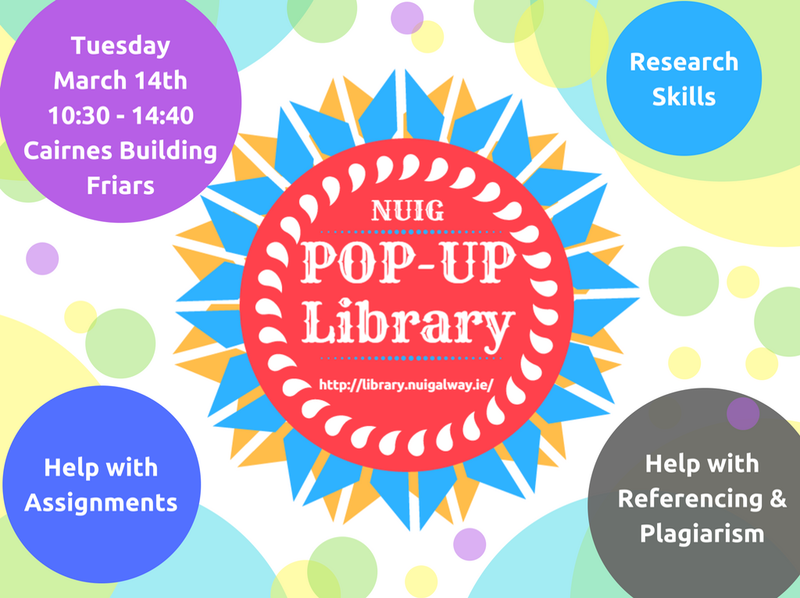 It is the definitive open access showcase for research from NUI Galway. Don’t miss out on the benefits by claiming your publications on IRIS and uploading them to ARAN. Just click on the red button (see above) beside your publications in IRIS to upload to ARAN or email your publication to aran@nuigalway.ie and we’ll upload it for you. Upload the final draft post-refereeing without the publisher’s type-setting, formatting, logos and pagination (also known as the post-print). We check and adhere to publisher’s policies and explicitly promote and link to your published article. Very little admin is required on your part. Speakers: Marie Mannion, (County Galway Heritage Officer), Prof. Noel Wilkins, (Galway Archaeological & Historical Society), Professor Gerry Jennings (Western Family History Association), Dr. Christy Cunniffe, Archaeologist. Panel Discussion facilitated by Dr. Nessa Cronin, Irish Studies. Places are limited. Admission is free but please register at https://www.eventbrite.ie/e/outside-the-walls-researchers-in-the-community-tickets-33074564914 or email marie.boran@nuigalway.ie. These resources can be accessed via the database trials page. Please complete the database trial feedback form provided for each resource of interest. The recent stepping away from active political life by Martin McGuinness and from his role as Deputy First Minister, signalled a polemic shift in the political landscape in Northern Ireland, His passing today, aged 66, has further intensified the consideration of his life and role in Northern Ireland, and his journey from conflict to peace, over many decades. 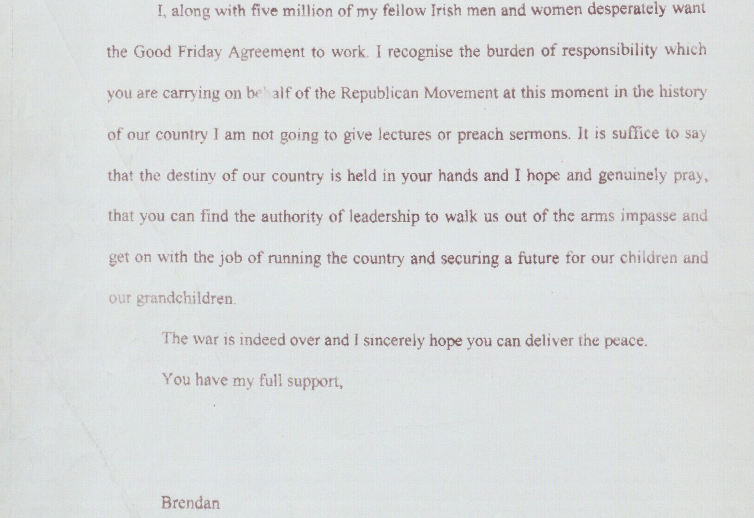 The perhaps unknown role that Martin McGuinness played, over many years, in negotiating a peaceful and sustained end to conflict in Northern Ireland can be seen within the archive of mediator Brendan Duddy. Brendan Duddy was born in Derry on 10 June 1936. 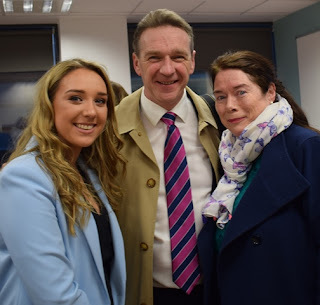 He became a businessman in his native city, and by the early 1970s he owned and managed two fish-and-chip shops, one in Beechwood Avenue (Creggan) and another in William Street. Duddy knew Martin McGuinness in the 1960s when McGuinness worked for a supplier company delivering burgers to Duddy's shops - at a time when McGuinness's interest in politics was not yet kindled. At the time it would have been impossible for anyone to predict the central roles both men would play over the course of the following decades. One section of the Duddy papers pertain to a figure known as ‘Walter'. 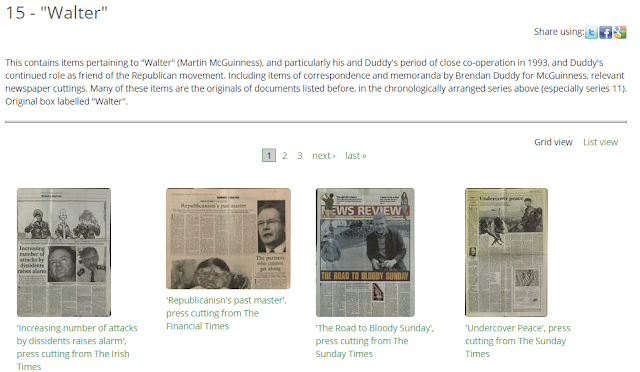 These items, now digitised and available from the Hardiman Library, reveal the extent of efforts by "Walter" - the active code-name for Martin McGuinness - and particularly his and Duddy's period of close co-operation in 1993. The files include detailed draft and final correspondence and memoranda sent by Brendan Duddy to McGuinness, which show the level of tense and prolonged discussions regarding the Peace Process of the early 1990s and the later Good Friday Agreement of 1998. 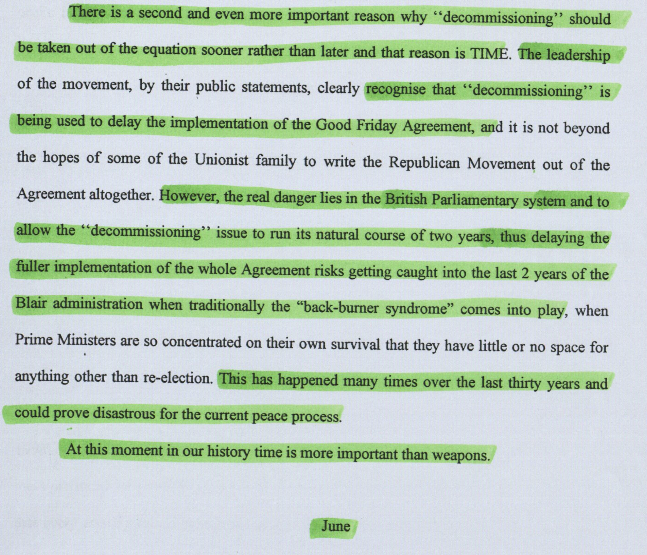 The files also include other items such as relevant newspaper cuttings focusing on McGuinness. Last semester the Collection Development team ran a survey aimed at undergraduate students. We asked a number of questions on reading list use and how students were finding using the new Reading List System. There were 39 respondents across a range of disciplines with the majority coming from the School of Business and Economics. 95% agreed they are more likely to read items from their reading list when they are easily accessible. 71% agreed or strongly agreed that the Reading List System makes preparing for exams, essays and projects more straightforward. 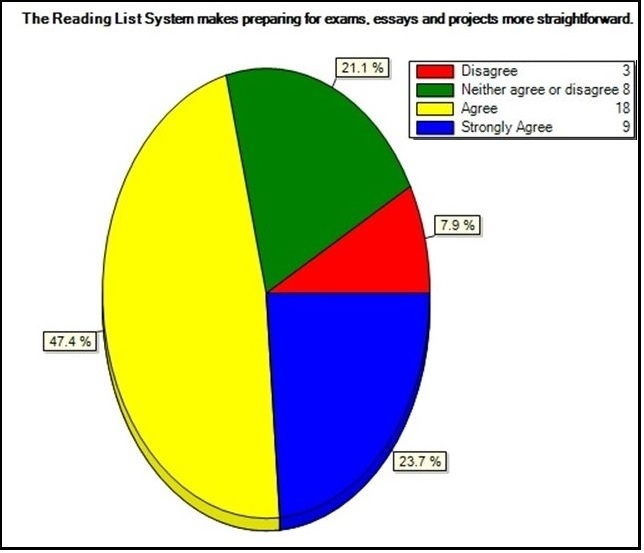 61% agreed that the Reading List System improved overall engagement with the course module. Some 37% neither agreed or disagreed with the statement. "I think it is a brilliant idea as it allows lecturers to provide students with the books they recommend or have used for a particular topic that is available in the library." "I have only used the reading list system for one of my modules, but it has cut out the usual fiasco of trawling library search pages which is very helpful. " "It's easy to use and reliable." Some students complained that their reading lists were not updated during the semester or some links to material were unclear. The overall response though is very positive and clearly demonstrates the benefits of the Reading List System for students. It does reinforce the need for the Library and lecturers to work closely together to provide straightforward access to course materials in a thorough and consistent manner. For more information including guides and online tutorials see the Reading List page. Researching Your Essay: where to start, and where to go once you have started? What do the lecturers mean when they ask you to research your essays? Can you find good material on google? Are some sources more reliable than others? Are you expected to read every source you find? How do you know which sources to use? 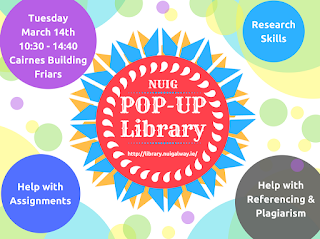 In a specially organised workshop on Tuesday 21 March at 2.30, we will answer these questions and to show how to use the library databases to brainstorm your topic, come up with original ideas, and identify the best sources for your essays. The workshop is suitable for both Arts and Science students. The presenters are Kris Meen and Ira Ruppo (AWC). The Library now provides access to IOPscience extra, an archive of expanded content from the Institute of Physics. "IOPscience extra hosts some of the most sought-after articles in science today, providing international breakthroughs and pioneering achievements from prolific researchers." Comprising more than 700,000 articles, the database is an indispensable resource for the physics community containing every IOP article published since 1874. Physics World is widely recognised as the world’s must-read magazine in physics. You can now access every article published since the magazine’s launch in 1988. The Astrophysical Journal alone received the highest number of citations of all journals in its JCR category in 2015, beating second place by more than 35%. See the full journal listing of content available through IOPscience extra. All journals can be accessed by title via the Library Catalogue. Over the past year, more and more of our database providers have worked to increase the security of their resources. In addition to this, databases are becoming more technically complex and offer a huge suite of options for you to choose to make your research better. However, the increase in security and complexity means that Internet Explorer regularly has problems when trying to display content from these databases. Problems include false security warnings, .pdfs of articles not displaying, even the layout of the database not displaying properly. As a result, we would recommend using either Google Chrome, Mozilla Firefox, or Safari as the best browsers to maximise your search experience, and make the full range of database tools available to you. In addition, the recent security upgrades on all these browsers will ensure a safe web experience. As always, we would reccommend accessing our resources by searching the Library catalogue, and signing into your campus account. 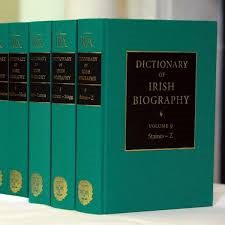 Access to the online version of the Dictionary of Irish Biography is available here. The 9-volume print set is available for consultation in the Library at General Reference (920.0415 DIC). Women Writers Online is a full-text collection of early women’s writing in English, published by the Women Writers Project at Northeastern University. It contains the full transcriptions of 392 texts published between 1526 and 1850, focusing on materials that are rare or inaccessible. The range of genres and topics covered makes it a truly remarkable resource for teaching and research, providing an unparalleled view of women’s literate culture in the early modern period. Access to Women Writers Online is available here. The rules of the AWC Twitter Competition are simple. Every two weeks, the AWC team posts a long and cumbersome sentence. All students and staff at NUIG can compete by posting a shortened version on Twitter (https://twitter.com/awcnuig). The challenge is not to lose any important information while reducing the word count. The most elegant version wins. Sentences will be posted in English and in Irish. There will be at least three rounds throughout March, with prizes ranging from €5 to €15. The competition aims to start a conversation about good writing style. Writers are often advised to condense their writing. As the author of The Elements of Style explains, this does not require writers to ‘avoid all detail and treat [their] subjects only in outline, but that [they] make every word tell’ (Stunk 24). Ideas should be expressed in the least possible number of words, and superfluous words should be avoided. By putting this advice at the core of the competition, we hope to transform our Twitter page into a place of mutual learning. We will watch cumbersome sentences transform into elegant ones, and we invite everyone to join in the conversation by commenting on the process. This week's prize is €10, the deadline is 18 March, and the cumbersome sentences are below. 1. I have travelled extensively, and, having compared the amount of precipitation around the world, I can safely confirm that the weather here in Galway, which is a city in the west of Ireland, which is already a rainy place is really unpredictable sometimes and really generally rainy and more rainy than Dublin which, in spite of what most people think, actually has the same amount of rain as Rome, which is considered a sunny place, and Galway is also really foggy and sometimes it also hails or snows in the city of Galway. 2. Rith siad go tobann gan choinne i dtreo an tsiopa a bhí ar chúl na leabharlainne móire, foirgneamh mór nua a bhí nua-thógtha le déanaí. William Stunk. The Elements of Style: the Original Edition. Dover Publications, 2012. Kanopy is on trial until Friday 31 March. Kanopy offers a unique and compelling collection of films including award-winning documentaries, indie and foreign films, classics and blockbuster movies etc. Access to Kanopy is available from the database trials page. Please complete the feedback form provided for this trial if it is of interest. Travel Writing, Spectacle and World History is on trial until Friday 31 March. This resource brings together hundreds of accounts by women of their travels across the globe from the early 19th century to the late 20th century. 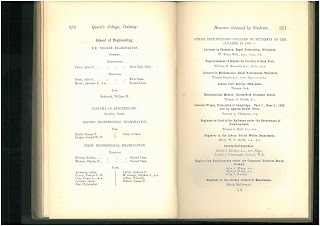 The sources cover a variety of topics including art; the British Empire; customs; exploration; family life; language; monuments; natural history; politics and diplomacy; race; religion; science and war. The resource includes a slideshow with hundreds of items of visual material, including postcards, sketches and photographs. A broad time period is covered and places visited include USA and Canada; China, Japan and the Philippines; Europe (very well documented); Russia; Africa; and Australia. Travel Writing, Spectacle and World History can be accessed from the database trials page. 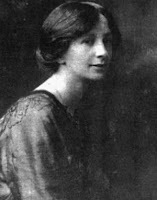 Alice Jacqueline Perry graduated with a first class honours degree in Civil Engineering from Queen's College Galway (now NUI Galway) in 1906. 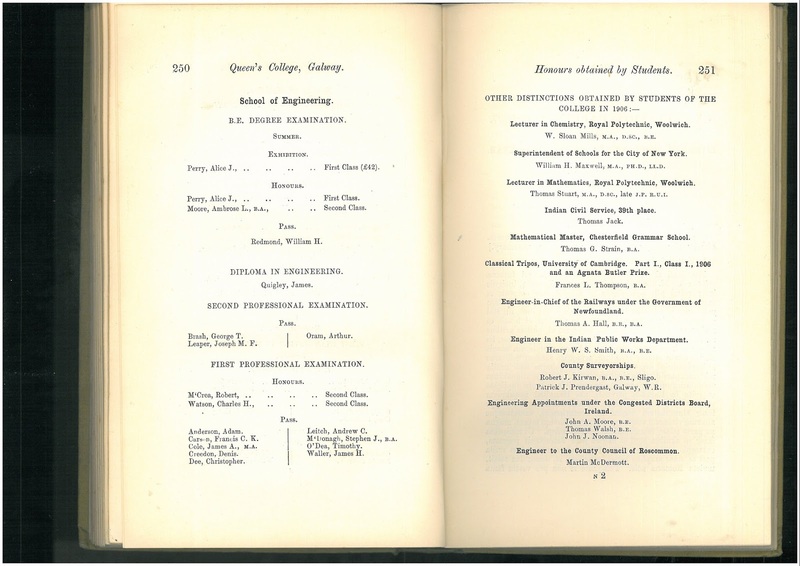 It is understood that she is the first woman to graduate with a degree in engineering in Ireland or Great Britain and possibly the first engineering graduate in the world. Electronic Enlightenment (Oxford University Press) is on trial until Friday 31 March. Electronic Enlightenment is the most wide-ranging online collection of edited correspondence of the early modern period, linking people across Europe, the Americas and Asia from the early 17th to the mid-19th century. It includes 70,057 letters and documents and 8,560 correspondents. The trial can be accessed from the database trials page. 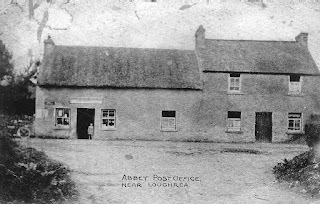 The Flynn and Lehany company operated the coal mine of Glackaundareagh, Altygowlan, in the central part of the Kilronan mountain in Co. Roscommon from its foundation in 1949, and subsequently at Gubbarudda. The company worked on contracts with hospitals and other public buildings through the 1950s, and it was a supplier to the coal-burning ESB power station at Arigna after that station was built in 1958. The power station closed in 1989 and the site is now a quarry operated by Hillstreet Quarries Ltd. The company operated at a time of great social change in rural Ireland, including rural electrification and the modernisation of Irish industry through the 1960s and 1970s. 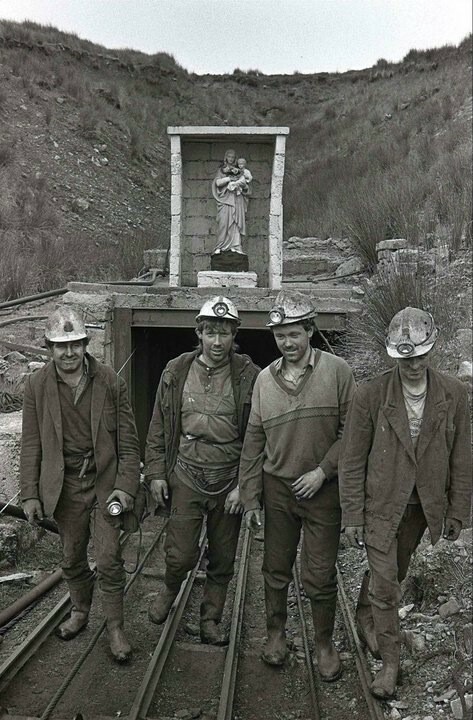 As the record of a commercial mining company in Ireland in the later twentieth century this collection is unique, and offers unparalleled insights into production processes, as well as financial management and the impact of the industry on the locality. 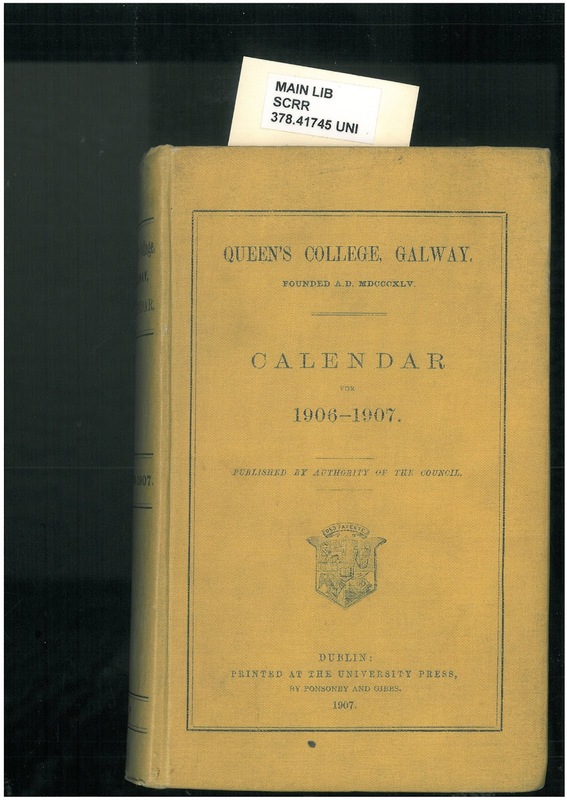 There are only two other collections, both housed at the National Library of Ireland, relating to coal mining in Ireland and each of those relates to the nineteenth century. This archive is also of particular value in its inclusion of the mine owner’s experience. The archive itself consists of a very full record of the industry, covering the establishment of the company, as well as material relating to production, personnel and distribution. There are reports and correspondence with the various regulatory bodies associated with mineral rights, as well as technical manuals for the machinery used in the plant. There is also material relating to the Hewitson and Lawder estates in the Arigna area. It includes details of lands purchased by the Flynn family from the estates under the auspices of the Irish Land Commission, some as early as the 1890s. 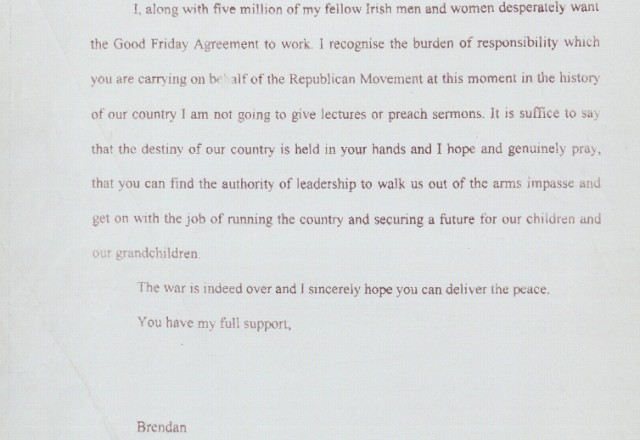 Other highlights are records of tonnage, giving amounts mined per employee, and a letter from the company and workforce to John Hume making a donation to the Bloody Sunday Appeal Fund. Fr. Tomás Flynn and Denis Flynn have acted on behalf of the Flynn family in generously donating the archive to NUI Galway. They are first cousins whose fathers, Thomas and Michael Flynn, were involved in establishing the company. Denis Flynn is Managing Director of Hillstreet Quarries Ltd and Fr Tomás Flynn is Parish Priest in Drumcong, Co. Leitrim, and author of a recently published book titled Thomas J. Devine and The Election of the Snows: The North Roscommon By-Election of 1917. The collection was formally handed over by the Flynn family to NUI Galway at yesterday's event in the University. Dr. Jim Browne, President of NUI Galway, commented: “NUI Galway values its archival collections as a major resource for the scholars of today and tomorrow. 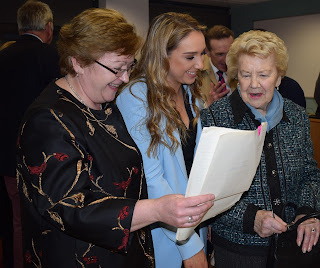 The donation of the Flynn and Lehany coal mining archive represents a very significant addition to our collections, and the University is much indebted to the Flynn family”. 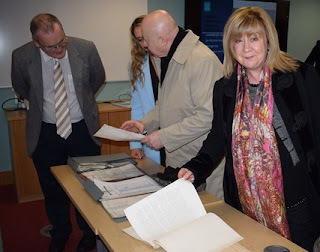 This wonderful archive has been listed and is available to view in the Archives and Special Collections Room, Hardiman Research Building, NUIG.